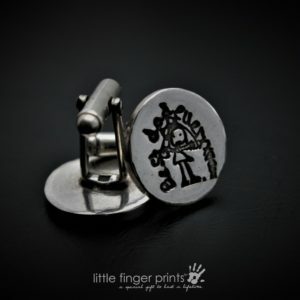 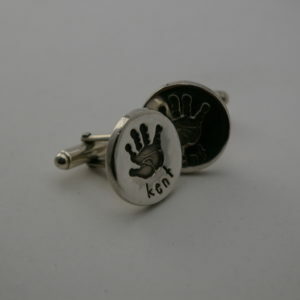 Unique, personalised cufflinks capturing your child’s or partner’s handprints. 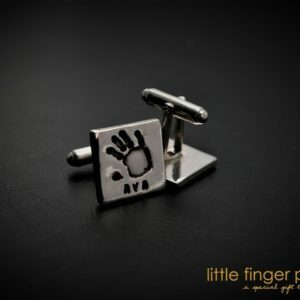 These special cufflinks are the perfect treat for any proud dad or grandad and are also ideal as a wedding or christening gift. 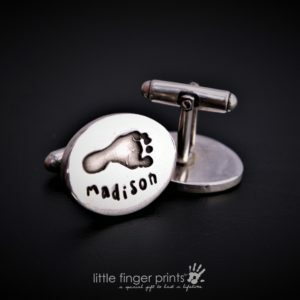 We can use prints from babies, children or even adults. 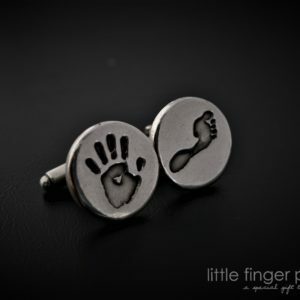 Your unique Handprint & Footprint Cufflinks will be created by one of our skilled and specialist Handprint Designers within 3-7 days from receiving your prints and dispatched beautifully gift-wrapped, ready to give.